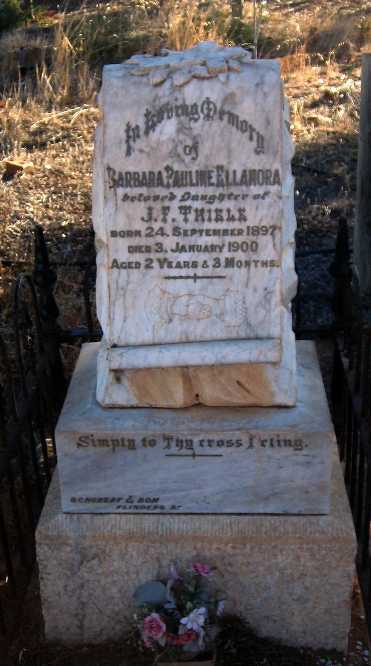 This entry was posted in Families, Habel, Thiele and tagged Memoriums, Remembering, sharing memories by Catherine. Bookmark the permalink. No matter whose families they belong to; children taken before their time always make me feel both profoundly sad, and enormously grateful for my own son. Thankyou Su… yes indeed!!! 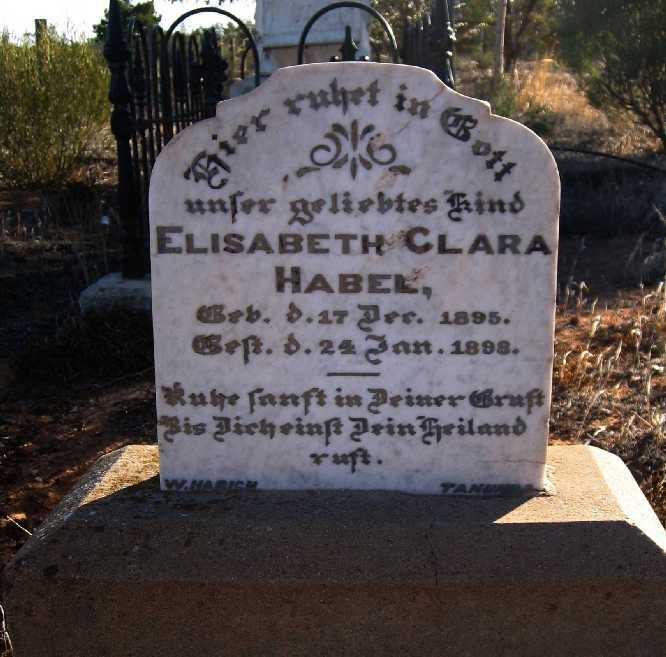 I’ve just remembered that, since I wrote that post, I’ve been contacted by David Habel who holds much of the family information and he said that Elisabeth Clara died from a snakebite 😦 … thanks for your caring comment. A snakebite; poor little girl. When my parents were emigrating from Scotland, Australia was – I think – my father’s first choice and both parents had relatives there, but we came to NZ because my mother insisted. There are no snakes here!!!! She’s so terrified of them we had trouble getting her off the aeroplane in Rangoon (en route to Auckland) because she was afraid of snakes on the runway (no air bridges back then). My dad was furious and embarrassed in equal measure I seem to remember. Strange how small things can have such big impacts. I could be an Aussie now and have had a very different life (partner, children) if my mother hadn’t been phobic about snakes. All a bit Freudian really. What a lovely story Su… Just imagine, we might have been neighbours and you may have gone to school with my children 🙂 … Thanks for sharing. It’s a shame yyou don’t have a donate button! I’d certainly donate to this excellent blog!